Sunglow Auto Glass provides trustworthy vehicle repair and a full range of auto body services. Our knowledgeable and efficient staff has extensive experience with auto glass repair, car painting, dent repair and many other services including car audio installation and the application of decals and graphics on commercial cars and trucks. Our full-service auto body shop is equipped to handle major or minor auto body collision repairs. Sunglow Auto Glass also takes care of all insurance claims for clients and complies with all regulations required by the local motor vehicle industry council. Our experienced team takes pride in their work and offers accurate and clear written estimates along with no hassle warranties that match our dedicated workmanship. Our reputation has stood the test of time and we are recognized as one of the most dependable auto body shops around. We offer up-to-date vehicle repair technology and efficient and affordable service. Our employees are some of the best in the region and are certified to work on any make and model of vehicle. We strive to provide the best auto body services in the region and run a business that truly cares about our clients and the local community. Sunglow Auto Glass is committed to offering auto body repair solutions that are as environmentally sound as they are economical. Using the latest environmentally friendly car paints with lower VOC emissions that help to improve air quality, we also offer top quality recycled “green” auto parts that help to reduce waste and save energy. 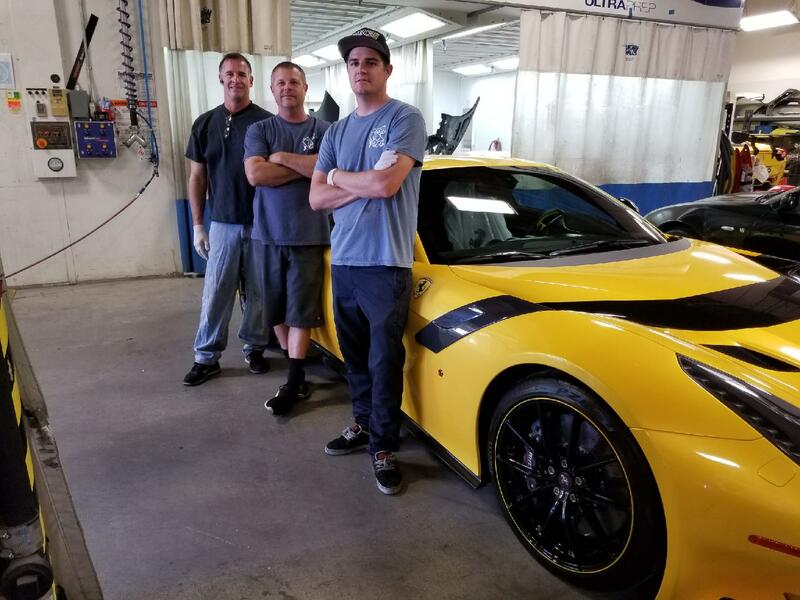 From its humble beginnings years ago, Sunglow Auto Glass has evolved into full service auto body repair shop offering the latest technology and dedicated expertise. Call or visit us, we will answer any questions you have and schedule a free estimate.